Zelacom builds custom applications, develops websites, and provides managed hosting and email services. As a company keen on creating their own websites, Zelacom set a high standard for Catskill Digital’s work on their own company and portfolio site. We wrote over 10,000 words of copy for the site including a dozen case studies, a four-part company history, and numerous other marketing pages. Our writing was informed by may hours of stakeholder interviews and product research. 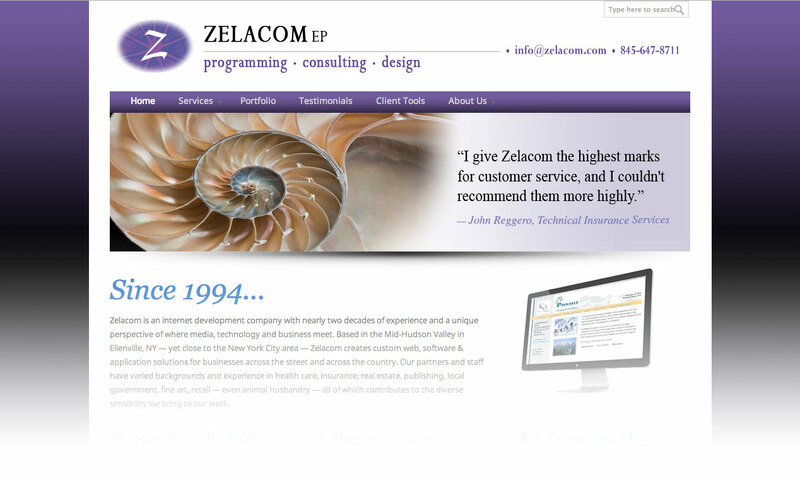 In addition to writing, we produced the website to Zelacom’s exacting design specifications. The end result is a smooth user experience, engaging content and an attractive showcase for Zelacom’s many digital projects.